Fall has arrived my friends, and we all know what that means. Pumpkin Spice. Everything. 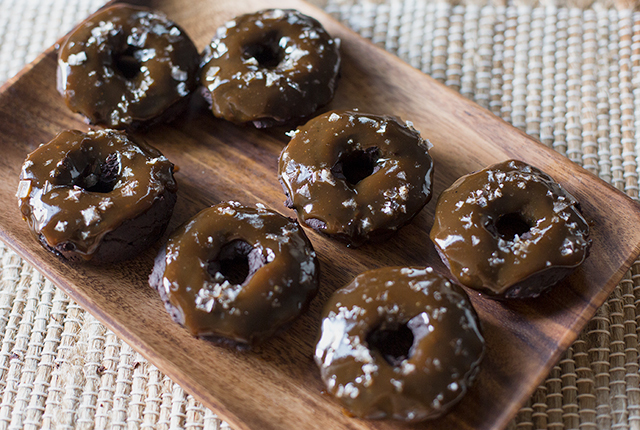 In the spirit of the season, I’ve decided to make some Vegan Mini Chocolate Doughnuts with Salted Caramel Spiced Pumpkin Glaze. 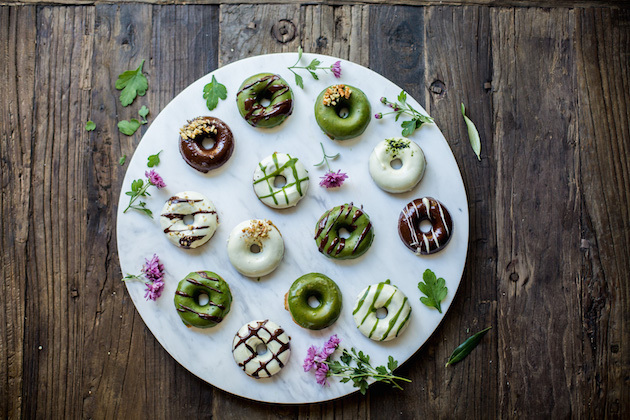 The best thing about these vegan doughnuts is that they are really easy to make. In fact, I let my kids (7 and 9 yrs old) bake these on their own and only helped with measuring the ingredients and taking the Mini Doughnut Pans out of the hot oven. The love I have for baked doughnuts knows no bounds. 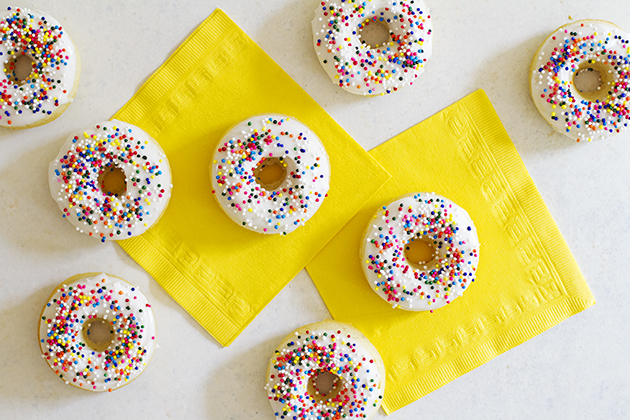 They are incredibly quick and easy to make, and the flavor variations are endless. 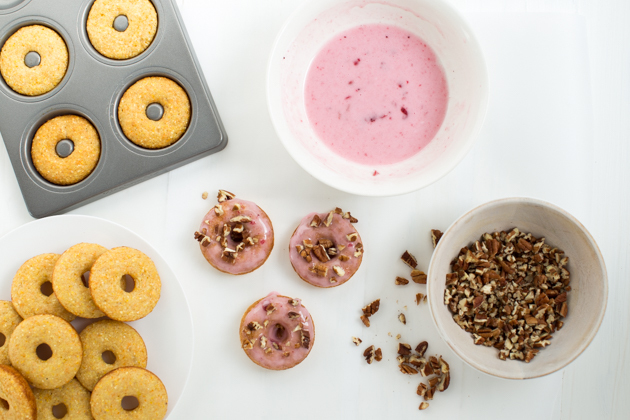 Cornbread doughnuts are a fun and unique way to enjoy cornbread this holiday season. They make a great side dish with your holiday meal and are a unique and flavorful sweet dessert. It must be the lovely crisp fall air or the golden leaves falling that put us in the warm and comfortable mood for pumpkin. 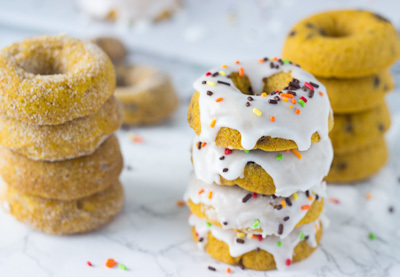 Pumpkins fit right in there and there’s no time like the fall to throw a pumpkin donut party.